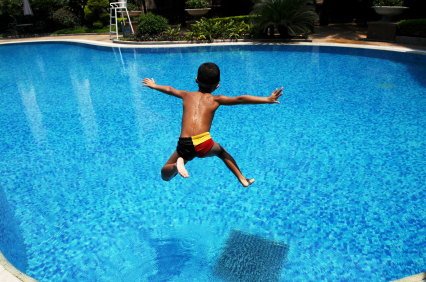 Home » First-Time Homebuyer’s Guide – Taking the plunge! First-Time Homebuyer’s Guide – Taking the plunge! As a first-time homebuyer in Atlanta, there’s a lot to learn. This is likely the biggest investment you’ve ever made so the more you know, the better decisions you’ll make. So grab a drink, sit back, and prepare to learn how to buy a house or condo in Atlanta…. The first step to buying a home in Atlanta is finding out how much a bank is willing to lend you. When you pre-qualify for a mortgage, your lender will look at your income, debts, down-payment and credit history …Don’t worry – this can usually be done over the phone in a quick 15 minute conversation. • It helps establish the overall price range you should target. • It places you in a much stronger negotiating position (a pre-qualification letter shows a seller you’re able to purchase their home and they won’t consider your offer without it). When shopping for a loan officer, consider at least three things: service, knowledge, and interest rate/fees. The total package is what counts. The best rate in the world means nothing if the loan officer fails to close the loan. One Important consideration – The best rate on the internet may not be the best option. Beware of out-of-state lenders. Laws and regulations in their home states may differ from those in Georgia. A referral from a friend or REALTOR® may be your best option …and there are definitely a few well-known lenders you’ll want to avoid. The Atlanta real estate market is hot right now and good homes are selling fast (in many cases within hours). Multiple offer situations are common and competition can be fierce. Because of this, my number one recommendation to new buyers is to visit as many homes as they can during the search process. There is no substitute for actually walking through homes. Simply skimming photos online will not prepare you for when you need to make a quick decision and pull the trigger. You really need to walk through at least a dozen homes before you’ll start to get any sense of whether a home is a good value or not. Almost all homes look good in photos, but photos hide creaky floors, dirty stains, old mechanicals, smells, cheap workmanship, etc. You’ll be amazed how some of those “wonderful” looking homes actually look when you set foot in them. So get with your agent and visit as many homes as you can, so when the time comes, you can confidently submit your offer. Congrats! Your house hunting efforts have paid off and you’ve found the right home for you. The offer process can be both exciting and a little nerve-wracking. It’s time to introduce the Purchase and Sale Agreement. This is the standard contract used to create a binding agreement on residential real estate purchases in Georgia, and it was created by a group of attorneys in conjunction with the Georgia Association of REALTORS®. It includes all the terms and conditions related to the sale of the property including the purchase price, loan details, earnest money, closing date and possession, inspection (due diligence period) and agency. Once you’ve submitted your offer, the seller can accept it, reject it, or send back a counter offer. During these back-and-forth negotiations, you may need to compromise on a few small things, but a good REALTOR will work hard to get you what you want. Offer accepted? Ok, now what? In Georgia, it’s customary for the buyer to have an agreed upon amount of time from the binding agreement date to conduct any evaluations and inspections. During this “due diligence period”, the buyer may terminate the agreement for any (or no) reason whatsoever. So what happens during a home inspection? A home inspection is a visual inspection of the structure and components of a home to find items that are not performing correctly, items that are unsafe, and items that are in violation of the building codes. If a defect is found, the home inspector will include a description of the defect in a written report and may recommend further evaluation. Once the inspection is complete, the buyer typically submits an amendment to address concerns (i.e., request for repairs) to the seller. The seller can choose whether or not to repair all or some of the items requested, offer a monetary sum towards closing costs, or reduce the sales price in lieu of repairs. There are pros and cons to each of these and a good agent will be able to guide you through the process so you avoid any problems. If the inspection does reveal a problem that the homeowner is unwilling to remedy, you do have the ability to cancel the contract any time during the due diligence period. If there’s one thing that throws off first-time homebuyers more than anything, it’s closing costs. Buyers are often surprised to learn that they’ll need to pay an assortment of fees at the closing table in addition to writing a check for the down-payment. A general rule of thumb is that you can expect closing costs to run somewhere between 2-3% of the cost of the home …ouch. Don’t worry! When you’re negotiating the purchase agreement, you can ask the seller to cover some (or all) of your closing costs. This is actually quite common and a good real estate agent can help you through this process to make sure you keep as much money in your pockets as possible. • Your check book (if necessary, the closing attorney will usually accept a personal check for up to $5,000 – see note below). • Proof of Homeowner’s Insurance (check with your lender for details). • Photo ID (Driver’s License, Passport). • Power of attorney information (if applicable) prepared by closing attorney. • Georgia law requires all funds in excess of $5,000 be sent via wire directly to closing attorney (this just means that you’ll need to wire the down-payment to the attorney’s office before the closing). Closings are usually pretty straight forward and 99% of the process consists of the buyer signing a seemingly endless amount of documents. By the time the closing arrives, your lender is required to present you with a Closing Document (previously called a Settlement Statement). This document will detail all of the costs associated with the transfer of ownership. While this document is usually very accurate, be sure to have your agent look it over beforehand. I’d say about 50% of the time, there is usually one small item that needs to be tweaked. Congrats! Once all of the paperwork is signed, the seller will hand over the keys and the house is yours to enjoy! Still have questions about buying a home? Give us a call or send us a text! We’ve helped hundreds of clients navigate the process of purchasing a home and would be happy to give you some advice.